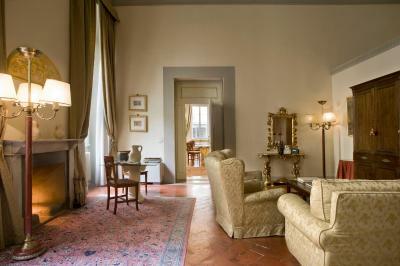 Lock in a great price for Palazzo Magnani Feroni, All Suite - Residenza D'Epoca – rated 9.1 by recent guests! 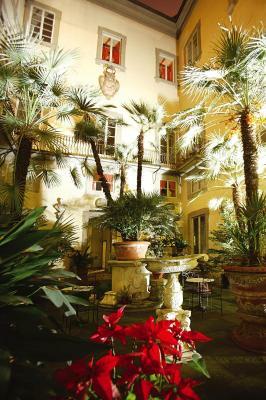 I loved this hotel! 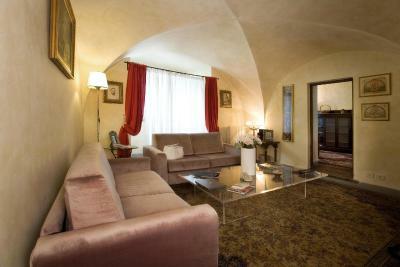 The location is perfect for getting away from the tourists near duomo. It’s just a block from the river. The room was so large and full of amenities. Service was perfect, and the rooftop view is spectacular!! 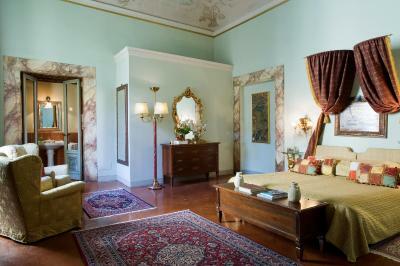 We absolutely enjoyed our stay at Palazzo Magnani Feroni. 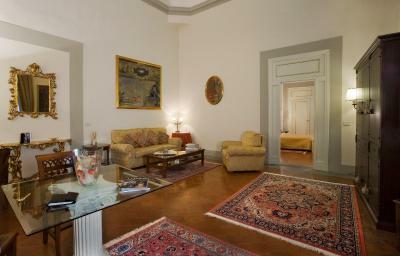 The location is in the Oltrarno district across the river from the most touristy part of town. 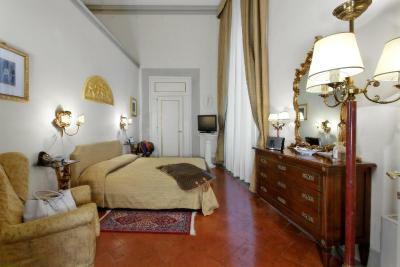 A lovely neighborhood filled with shops and restaurants and the Duomo area is a quick 10 minute walk. 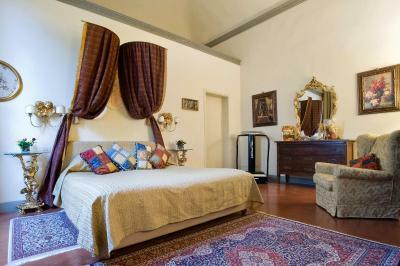 We booked the two bedroom two bathroom Exclusive Family Suite which was very comfortable. 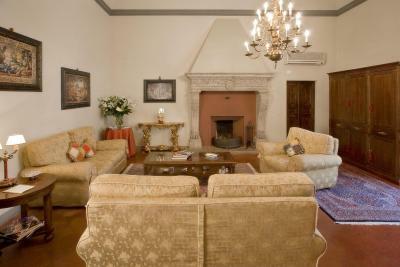 A very large sitting room was in between the two rooms. Included breakfast was buffet or cooked to order menu items and was very good. 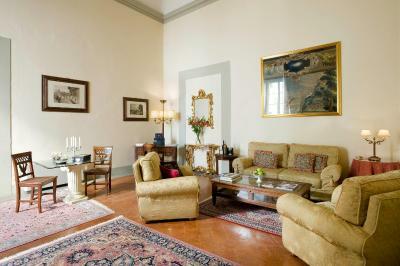 The staff helped book restaurant reservations and our Uffizzi guide. We were there on Thanksgiving and the staff left us pumpkin cupcakes for a treat. 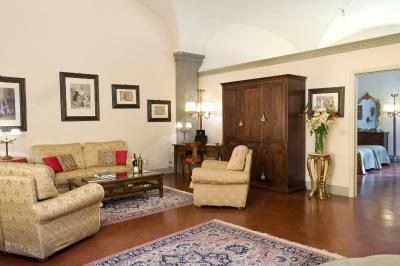 We would definitely stay here again as the location was perfect and good value for the money. The staff was amazing especially Emmanuel and the short haired Italian receptionist . The room was big and comfortable. Loved it. 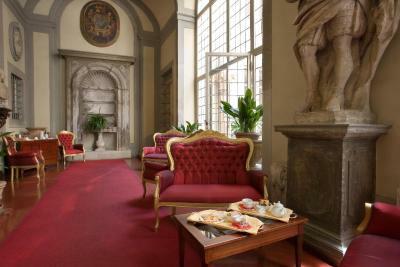 The hotel was former Palace and very large rooms with high ceilings with lots of little extras like lollies and soap menus in the room. 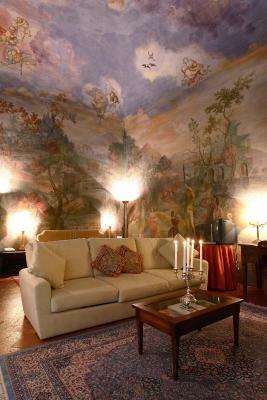 We stayed in the Giuseppe room (they don’t have room numbers) which had an adjoining large living area with an interconnected room for the kids. 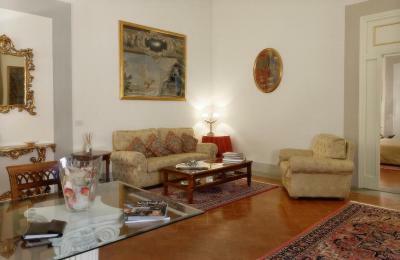 The rooms were well appointed with antiques and paintings. 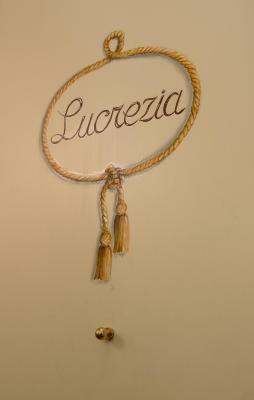 The spacious rooms, old style decorations and excellent staff. We loved the room service breakfasts withthedining tablesetupfor us. 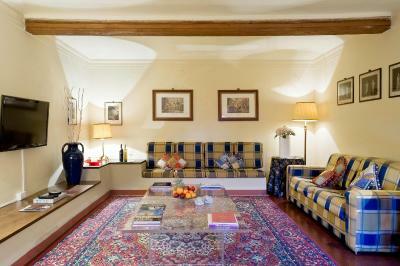 The hotel was beautiful and our family suite was very large and comfortable. 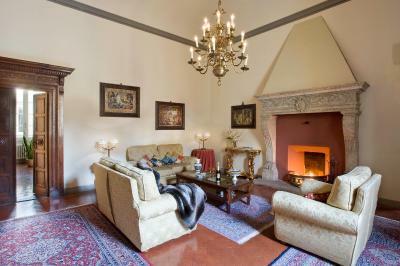 The staff were all friendly and everyone spoke English making it very easy for us. They arranged to pick us up at the train station, ordered cabs for us, and were very helpful. 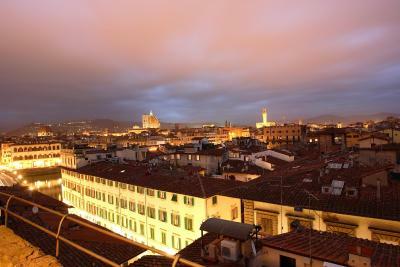 The roof top terrace is wonderful and provides the best view of the city. Better than the view from the Duomo because you can see across the river and can see the Duomo and all the other sites. Marco the bartender for the terrace was marvelous and charming. 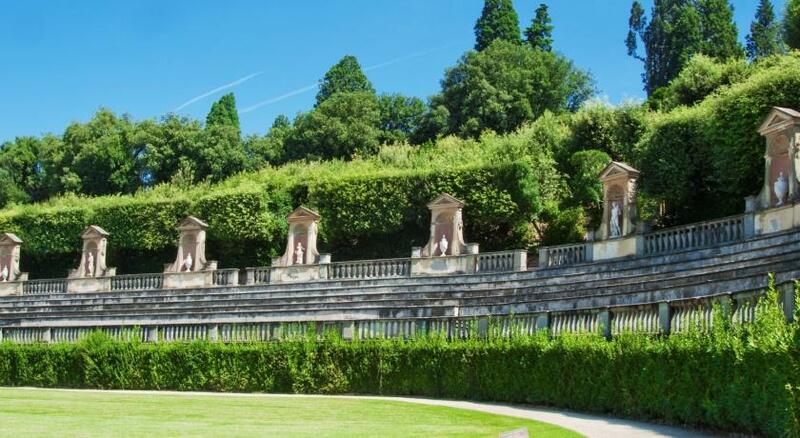 Very convenient to the Pitti Palace and Boboli Gardns. 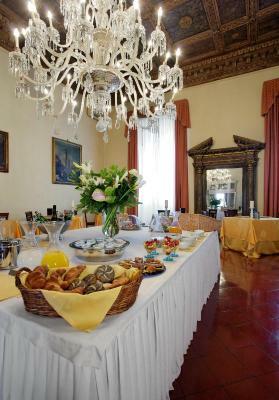 Breakfast was the best we had in Italy with many fine choices and the wait staff was tremendous. Очень красивый палас, заходишь в него и тебя переносит на сотни лет назад. Роскошная входная группа, старинный лифт, гигантские потолки, потрясающая терраса на крыше и тишина. Отличное расположение. 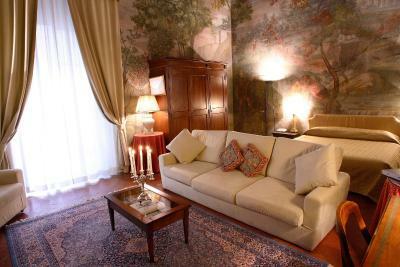 Palazzo Magnani Feroni offers luxury suites with free Wi-Fi, flat-screen satellite TV, and a marble bathroom, on the first 2 floors of Palazzo Magnani Feroni. 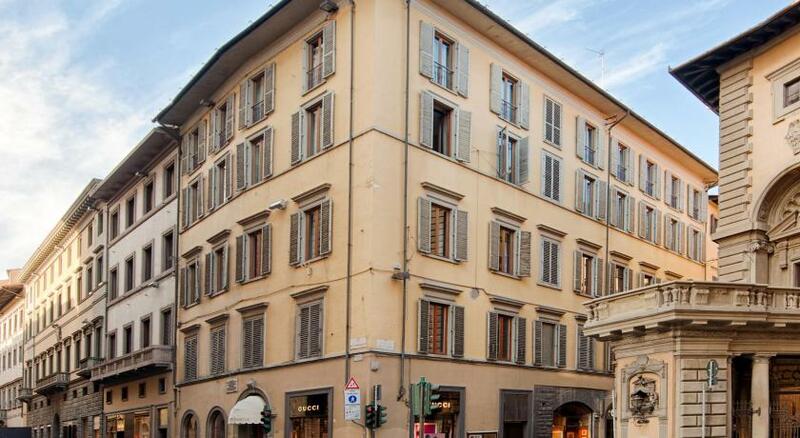 This Renaissance building is a 5-minute walk from the exclusive shops on the Ponte Vecchio bridge. 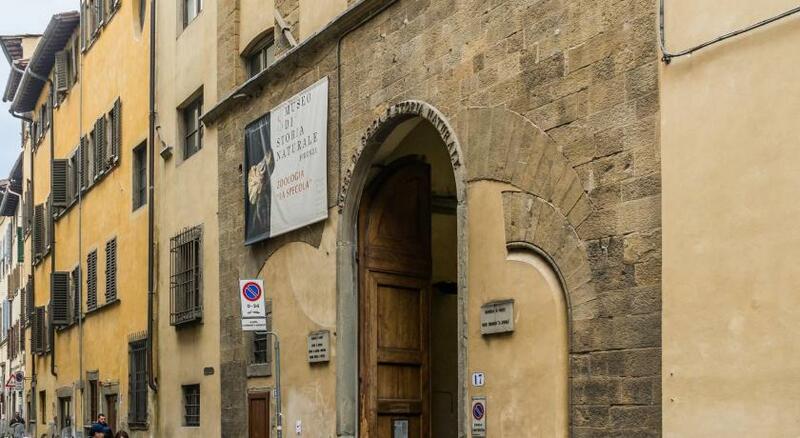 With an on-site art gallery, Palazzo Magnani Feroni is furnished with statues, paintings and frescoes dating back to the 1500s. 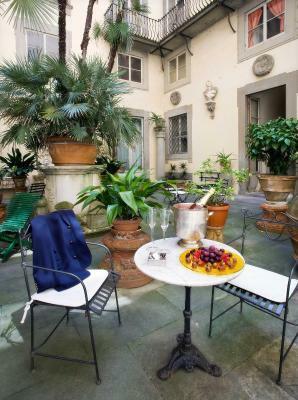 Its rooftop terrace with bar offers panoramic views of the Borgo San Frediano district and the historic center. 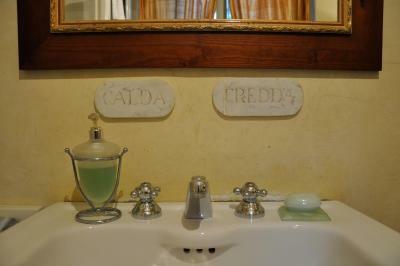 The suites have a DVD player, minibar and a marble bathroom complete with eco-friendly bathroom products. 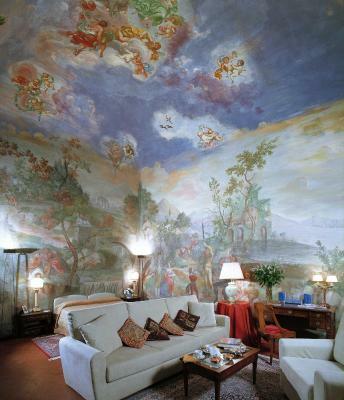 Some suites feature fully frescoed walls and a private furnished patio. 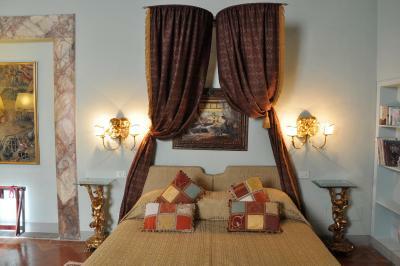 Guest rooms are also available. 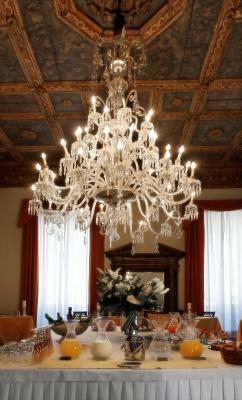 Breakfast is served in a unique dining room with a magnificent ceiling originally in Palazzo Farnese in Rome, and a spectacular Murano-glass chandelier. Tea and coffee are served for free in the art gallery. 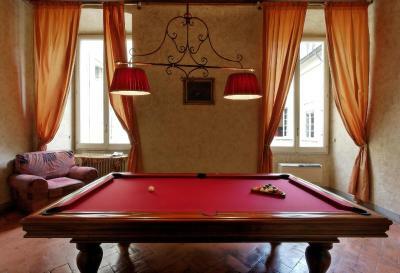 You can work out in the gym and relax in the billiards room. 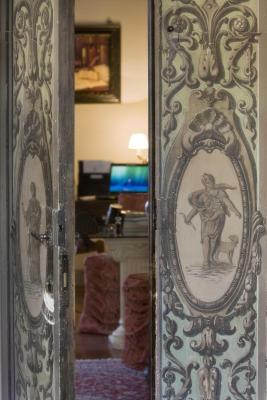 The professional staff is available 24 hours a day. 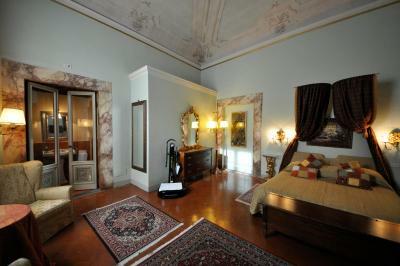 When would you like to stay at Palazzo Magnani Feroni, All Suite - Residenza D'Epoca? 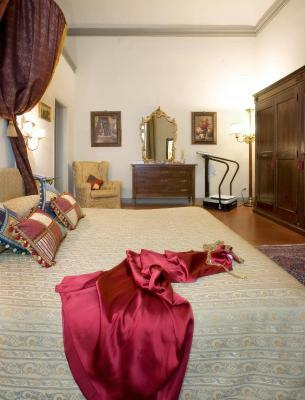 This spacious luxury suite includes eco-friendly bathroom products, a free morning newspaper and a CD/DVD library. Offers free Wi-Fi. 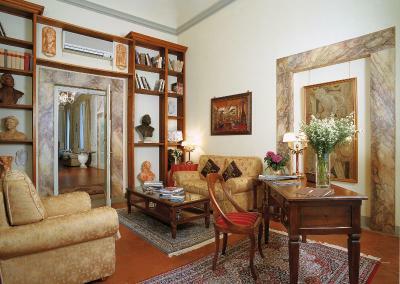 This room is located on the ground, 1st or 2nd floor. 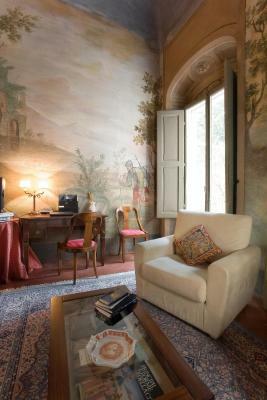 With original frescoes on every wall and a furnished outdoor patio, this spacious luxury suite includes eco-friendly bathroom products, a free morning newspaper and a CD/DVD library. Wi-Fi is free. On the first or second floor, this spacious luxury suite includes eco-friendly bathroom products, a free morning newspaper and a CD/DVD library. Wi-Fi is free. 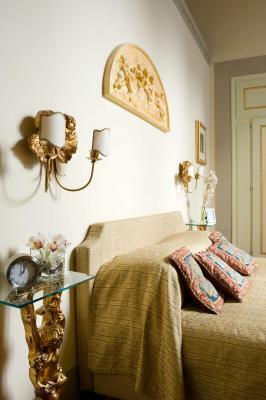 With antique furnishings and extra space, this luxury suite consists of a living area, 2 bedrooms and 2 marble bathrooms with eco-friendly bathroom products. A free morning newspaper, free Wi-Fi and a CD/DVD library are also available. 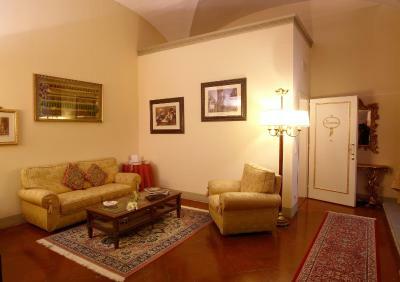 This suite has a electric kettle, tile/marble floor and mini-bar. 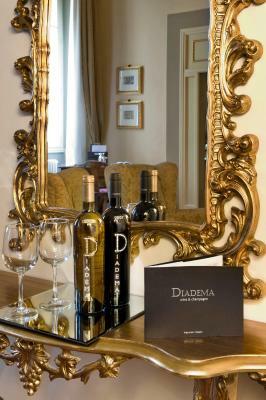 When we began the renovation of our city-centre palace in 1999, we had a unique core concept in mind: "home far from home". 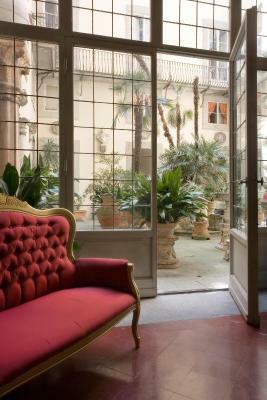 Three years later, as we greeted our first guests, the refurbished Palazzo Magnani Feroni reflected this very goal: 12 suites surrounded by spacious galleries and salons, transfixed in a realm of calm, quiet and luxury. 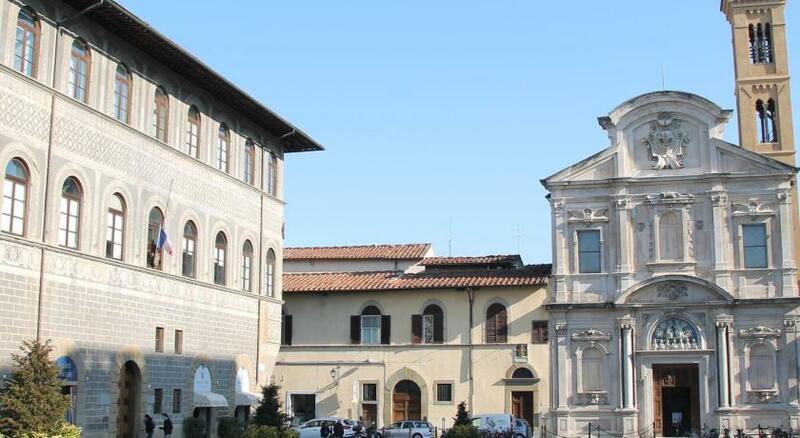 Hotel surroundings – This neighborhood is a great choice for travelers interested in city walks, churches and food – Check location Excellent location – show map Guests loved walking around the neighborhood! 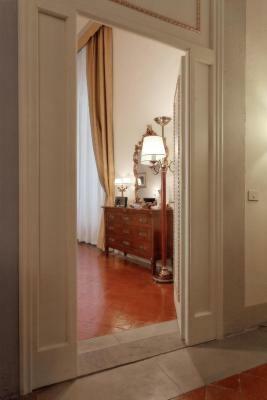 House Rules Palazzo Magnani Feroni, All Suite - Residenza D'Epoca takes special requests – add in the next step! 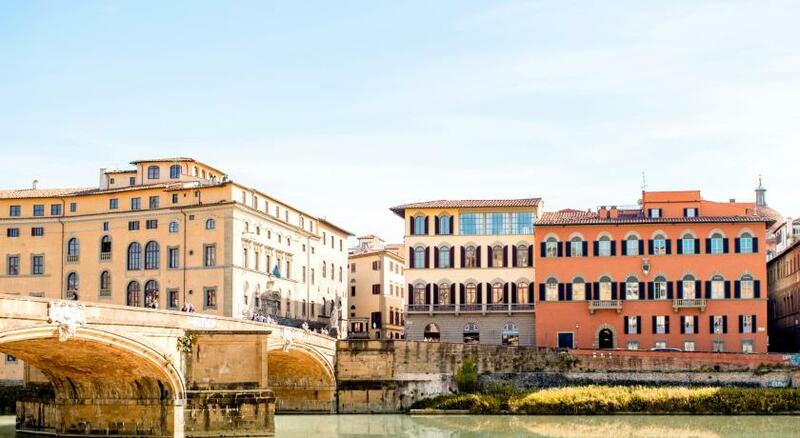 Palazzo Magnani Feroni, All Suite - Residenza D&#39;Epoca accepts these cards and reserves the right to temporarily hold an amount prior to arrival. 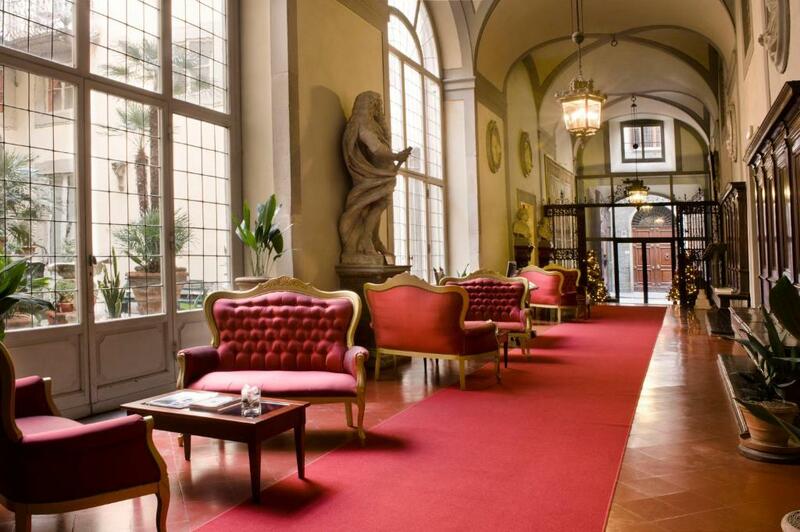 Palazzo Magnani Feroni, All Suite - Residenza D'Epoca accepts these cards and reserves the right to temporarily hold an amount prior to arrival. 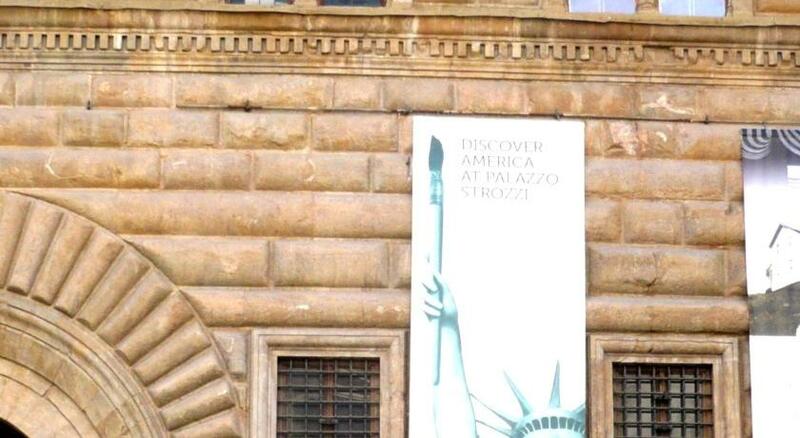 Everything, it is literally a palace. Nothing at all. Worth the money. 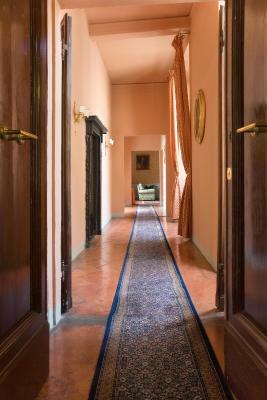 The large spaces outside the rooms and being very quite can make it feel a little spooky at night. The lift was the original lift and I’m talking old and small. The weight restrictions meant that only 1 person and their luggage could travel at a time. However the positives far outweigh the negatives. 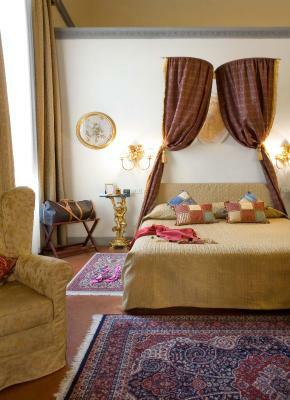 The hotel is a 15th century Renaissance Palace and may not be everyone's idea of luxury. For us it was perfect. 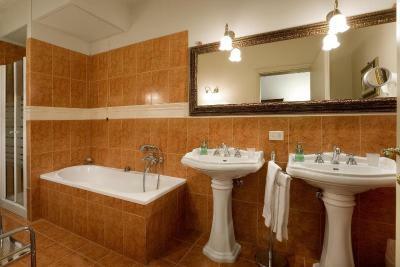 The hotel was clean with updated modern bathrooms. Comfortable beds and the temperature inside the rooms was nice. 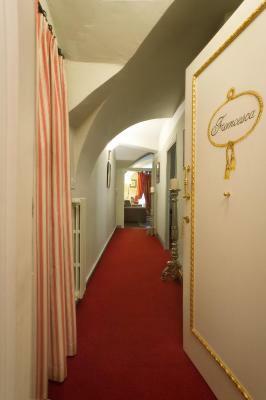 There is a very small old style elevator, we found it charming but could only fit 1 person with luggage. The Wi-Fi was great in the sitting room area but spotty in the bedrooms - we just pulled out a real book to read when the electronics were down. Looking forward to returning in the warmer weather to take advantage of the terrace and the views. 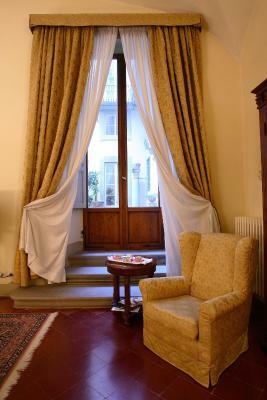 We had a two bedroom suite. While we were there it was very hot, over 100 Fahrenheit. The air conditioning in the bedrooms worked perfectly. The air conditioning in the main sitting room wasn't quite strong enough to properly cool the very large space, but it wasn't too bad. The location is a bit of a walk from the main sites across the river when it is very hot, so we took cabs to the sites and then walked back when it was cooler in the evening. 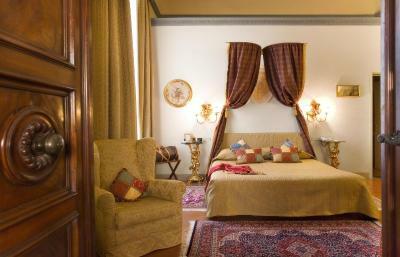 The Junior Suite is to die for !! No privacy at fitness centre. Entrance opened straight into Lobby . Lack of tea coffee making facility in the suites.. even though there was a minibar.Tea available only on landings.. had to walk all the way downstairs to the coffee machine.